The resettlement of Montaukett individuals from Indian Fields to points west reflects a desire to find work and accumulate, wealth, and goods. Leaving one’s family and homeland behind at Montauk would have been a struggle, whether the decision was to move twenty miles away to East Hampton village, to move eighty miles away to North Amityville, or to spend nearly a decade at sea. Indian Fields is protected as part of the Montauk Point State Park, prohibiting further potential land development and disruption. The late contact-period material culture of the Montaukett has been retrieved somewhat by the archaeological record of Indian Fields. The artifacts excavated by Edward Johannemann indicate habitation there from 1725 to about 1885. 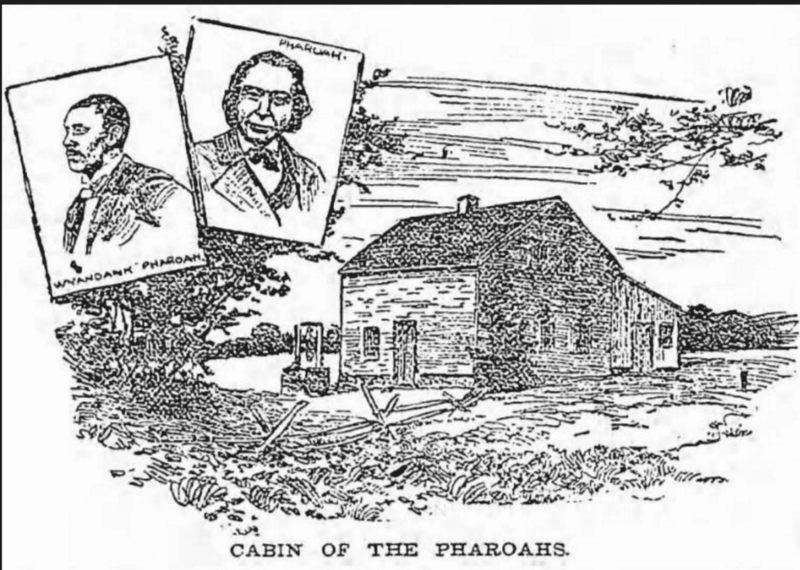 The excavation probably found the home of Charles Fowler (24 feet square of Anglo design with wood floors) and located other houses 30 feet square and 11 by 16 feet, as well as other structures 7 and 8 feet in diameter. After David Pharaoh died of TB, Maria and her children could not maintain the homesteading lifestyle. They were lured to move to Freetown, north of East Hampton village, by promises by Frank Benson that they could return in summer, would get a yearly annuity, and education for the children. Mr. Fowler, a member of the Montaukett tribe, was among a shrinking number of native people who remained then, some two and a half centuries after the arrival of European colonists, and their diseases and economic exclusion. In the quitclaim agreement he signed that day, Fowler gave up all of his right, title, and interest to what had been his home in exchange for an annual payment from Arthur W. Benson, the founder of the Brooklyn Gas Company and developer of Bensonhurt who had just a short time earlier become the owner of all of Montauk’s approximately 11,500 acres. The Fowler agreement is part of a cache of documents preserved at the Brooklyn Historical Society and now available digitally from the East Hampton Library that had been fought over for much of the 20th century. Interest in the material has increased following an agreement that will preserve Mr. Fowler’s house in the Freetown section of East Hampton, which Mr. Benson had given him in exchange for his property at Montauk. The Benson papers, as they have come to be known, contain a significant trove of records, including account books of the Proprietors of Montauk going back to the early 19th century and a 1724 record of a land sale between the Montauketts and the East Hampton Town Trustees. Those involving Benson’s takeover of the land paint a picture of his efforts to consolidate his newly bought property and rid himself of earlier promises made to the Montauketts. “The ready availability of the information provided in these scans is almost the stuff that dreams are made of from a research standpoint,” said Gina Piastuck, who runs the library’s Long Island Collection. Unlike the rest of East Hampton, Montauk was carved off early on by the town trustees and left in the hands of a group of private citizens. A court upheld the Montauk Proprietors’ title to the land in 1851, and in its decision, ordered that all of the records relating to Montauk be taken from the town and given to the proprietors. 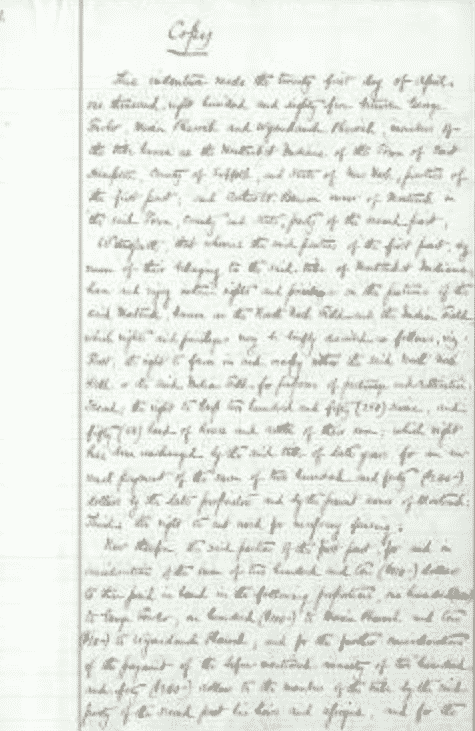 The importance of the papers became clear early on when members of the Montaukett tribe sued Mr. Benson, then his estate, claiming that their rights had been obtained by fraud and “undue influence by the Bensons and their agents and employees.” Instead of being made available to the townspeople, John A. Strong, an authority on the Montauketts, wrote in a 1993 book on the tribe’s losses, the documents were kept by Mr. Benson and used by his lawyers to plan legal strategy. Interest in the papers continued into the 20th century. In 1922, The East Hampton Star reported that they had been given by Mr. Benson’s granddaughters to the Long Island Historical Society. In 1934 the East Hampton Town supervisor appointed local justices of the peace, Merton Edwards and William T. Vaughn, to a committee to investigate if copies at least could be obtained. 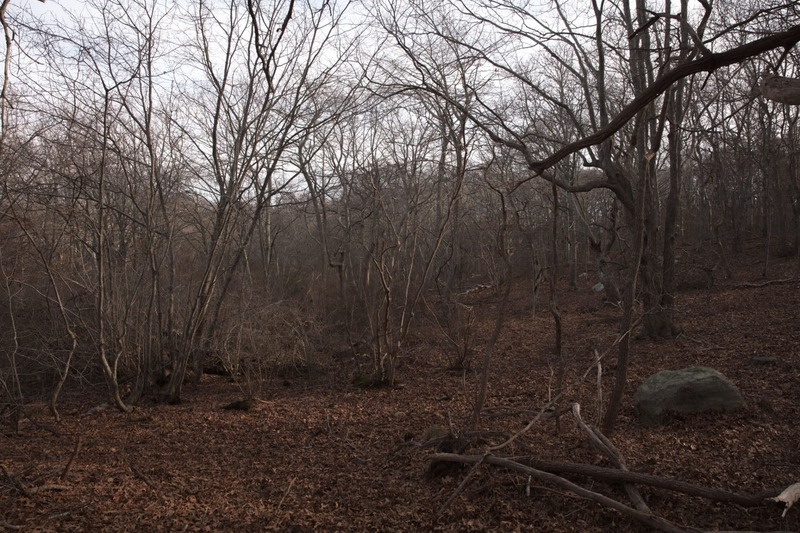 The Benson family, who had bought Montauk peninsula from the Town Trustees, used it as a hunting preserve and planned to develop it. The promises were empty, the Montaukett homes at Indian Field containing their deeds and records were burned, and they were driven away from their ancestral home. Other Montaukett had moved away for better livelihoods to Eastville, a Native/African American settlement on the eastern side of Sag Harbor, while others lived in enclaves in Southold, Greenport, Amityville, and scattered through the Island. In 2013, Mr. Twomey and Dennis Fabiszak, the library director, were able convince the society to loan the papers for digitization on the Long Island Collection’s state-of-the-art system with the help of Norbert Weissberg, a library donor and Brooklyn Historical Society trustee. The society’s then-director personally delivered the three boxes containing the Benson papers, and during about a month’s work they were carefully opened and scanned. Steve Boerner, a library archivist, spent long hours cataloging the material and studying its chronology. The lawsuit begun in the 1870s to regain Indian Fields, which had been taken from them by the developer Arthur Benson and his family, was lost in 1910 (and the appeals in 1918) when Judge Abel Blackmar pronounced them to no be longer Indians. A photograph records the Montaukett‘s 1923 trip to the Bureau of Indian Affairs in Washington, DC seeking government aid for the return of their land; none was given in that time of rapid development.